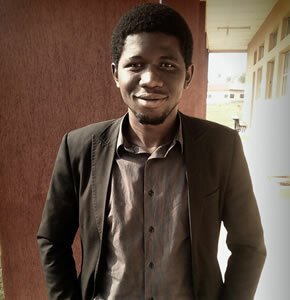 This is an interview with Onibalusi Bamidele – the seventh in our Nigerian Internet Entrepreneur Spotlight series. The first spotlight was on Dayo Edunjobi. The second spotlight was on Adebola Oni. The third spotlight was on Babajide Ogunsanya, the fourth was on Desmond Ufuoma Okosi , the fifth was on Dennis Isong and the sixth was on Fisayo Ayodeji Sanyaolu. This is the seventh, go through it, make use of the information and wait for the eight. My name is Onibalusi Bamidele, a 17 year old entrepreneur from Nigeria. I heard about the concept of making money online when I was 14 and I was really determined not to stop until I learn how it works. 3 months later I have learned a lot, built a thriving blog and consistently make an average of $3000 online every month. I started making money online in June 2010, 3 months after starting my blog, YoungPrePro, and my first income came from sending a promotion email for an affiliate to my list of 150 subscribers. MMON:When starting your site, did you ever expect it to grow to where it is today? Being a daydreamer I expected far more in a short period of time, and even though I’ve seen how things work I still believe I will reach and excel my dreams for my blog and online business. I don’t think I can measure that but based on the emails, comments, tweets and Facebook updates I get from my readers I’ve made quite an impact on a lot of people. I’ve not arrived yet but I know I will get there one day and my main motivation remains helping people get results. MMON: How have you incorporated social media into your site? I make use of social media for my site by making it easy for my readers to get in touch with me on the top social networking sites an by providing them with immense value anytime I share a link on my social profiles. By creating your product or promoting other people’s genuine products you’ve used. MMON: What would you recommend for a new blogger, that wants to create their own brand/presence on the internet? Look for something you love, develop a great passion for it and focus on it till you get results. Yes. You should be reading the blogs, ViperChill.com and SmartPassiveIncome.com regularly and you should also get my free ebooks on guest blogging and on how i make over $3000 online every month. Yes. 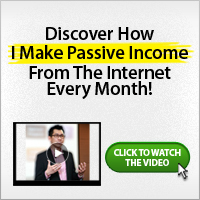 I’ll be launching my free ebook on how I make $3000 online monthly. Stay tuned for it! MMON: Cool Oni.. Any final words for now? Thanks so much for interviewing me for your blog, I really appreciate it! In conclusion, I don’t really have much to add to this interview. Readers, it will do you well to abide by what you have been told to do while reading through this interview. If you have any further question or clarification, you can make good use of the comment box provided further below. You can also tell us who you want to be interviewed and we will do our best to get them interviewed.